At home flowing through urban centers and along bike paths, the Goodyear Transit Speed is a fast-rolling urban tire combining confidence-inspiring handling with great durability. The Transit Speed range comes equipped with 5mm reflective sidewall stripes to enhance visibility. Meeting the ECE-R75 requirements for use with modern eBikes, the Transit Speed delivers both performance and durability. 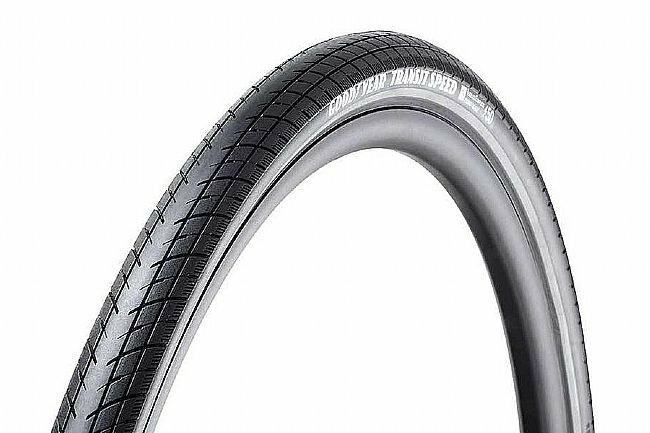 The Goodyear Transit Speed tire features a wire bead, and Goodyear's S3:Shell Reflective technology for added puncture protection, durability, and improved low-light visibility.